CREATING ARCHIVAL-QUALITY GICLÉE PRINTS FOR OVER TEN YEARS! Giclée (pronounced “gee-clay” or “zhee-clay”) printing is a term derived from the French meaning “to spray or squirt” and is used to describe digital reproductions of original works of art or photographs. Giclée prints are produced at a higher quality than offset printing and are created to last for generations. Giclée prints are printed at a resolution of at least 300 dpi and on mediums that are “archival;” meaning the paper or canvas is acid free, lignin free, pH neutral and consists of a 100% cotton or rag base. In typical parlance, a "giclée print" is a high-quality reproduction of an original piece of art printed on canvas or fine art paper and signed by the artist. These can be numbered in a limited edition or produced in an unlimited edition. Our prints are made on Epson 9900 and Epson SureColor P9000 printers which can print up to 44" wide. The term "giclée" refers to the process, not the medium (canvas or fine art paper type). A "giclée print" can be made on canvas or a variety of fine art papers. We print on canvas, paper, metal, and other mediums such as wallpaper and fabrics. What steps do you take to ensure a great color match to my original? First, we take the time to build color profiles for all our media. Many other print-makers skip this important step, and as a result you may get a print that looks different when you use the same file and printer a year or so later. This is because printers such as the Epson 9900 vary their output over time. However, our meticulously-built color profiles help ensure that you will get the same high quality results every time you print, no matter how long ago the file was created. Second, we make at least one test print for every image and adjust the digital image file as needed to match your original artwork. Our $25 set-up fee -- the lowest around -- includes this very detail-oriented color-matching process. We will keep working on your file until you are satisfied that you are getting the closest match possible to the original. Will the reproduction be an exact match to the original? Watercolor paintings make the best reproductions, and our prints are often virtually indistinguishable from the original with the naked eye. For oils on canvas, we can capture the textured look when we photograph your artwork by manipulating and varying our Elinchrom Style RX600 lights, ensuring that the resulting digital image is superior to results produced by scanning in which the lighting is kept uniform throughout. 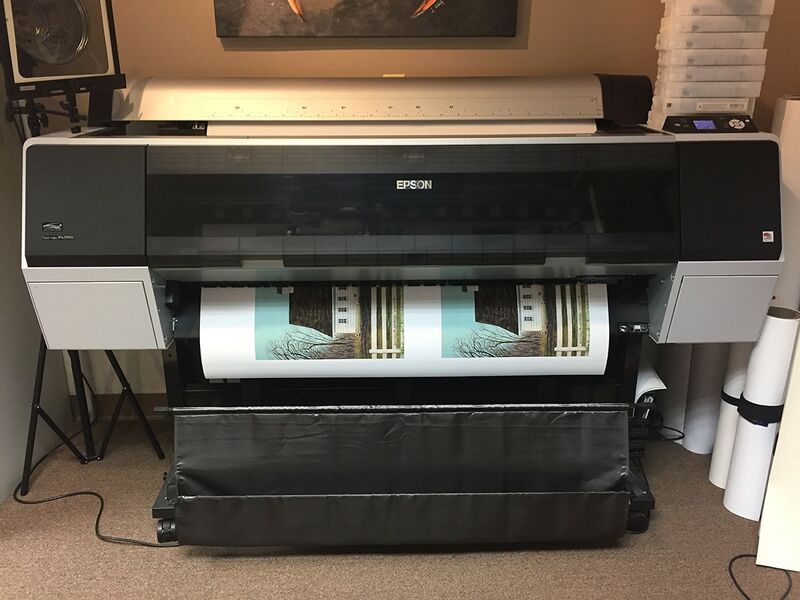 Keep in mind that the ink used in our printers is not the same as artist paint, and colors will vary slightly when viewed in different artificial lighting and in natural light. Upon request, we can apply a clear gel to your print on canvas that simulates artists' brushstrokes. Artists may also choose to embellish their canvas prints with clear gel or paint in order to enhance them further.